Promoting the preservation and protection of the burial sites, cemeteries, and grave yards in Maryland. Most of us imagine a burial as a respectful and dignified laying to rest of a person who touched our lives and contributed to our culture. 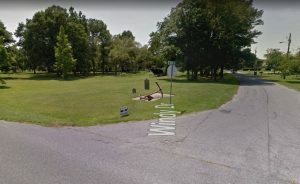 Over time, however, burial sites in Maryland have too often been neglected, not maintained, unprotected, and the victims of expediency and exploitation by persons seeking a short-term economic or personal goal. The Coalition to Protect Maryland Burial Sites (CPMBS) believes that neglect or the willful desecration or destruction of burial sites is unacceptable in a civilized society. Our members appreciate the importance of burial sites as hallowed grounds, irreplaceable cultural resources, and sources of valuable genealogical data often found nowhere else. CPMBS is a State-wide nonprofit organization of volunteers dedicated to protecting and preserving historic Maryland cemeteries. Membership in the Coalition is open to Marylanders and others who care about their heritage and their ancestors. The Coalition recognizes that many burial sites are established through a purchased right of burial that is protected by the laws of Maryland, with such right passing on to the relatives of the deceased, and which right cannot lawfully be abridged by others at will. These beliefs led individuals in the summer of 1991 to form a group that would address concerns not covered by existing laws and organizations. Learn more by reading About Us. The Coalition is grateful for financial assistance from Preservation Maryland and the Maryland Historical Trust to enable this website.